The Taka is the official currency of Bangladesh. In Bangladesh, the symbol t (or Tk, in English) is used to represent taka. The word is derived from the Sanskrit tanka, an ancient denomination of silver coin. The term taka was widely used in different parts of India but with varying meanings. In north India, taka was a copper coin equal to two paisa and in the south, it was equal to four paisa or one anna. It was only in Bengal where taka was equal to the rupee. In all areas of India, taka was used informally for money in general. But Bengal was the stronghold of taka. Rupee was introduced by the Turko-Afghan rulers and was strongly upheld by the Mughals and the British rulers. The Bengali people always used the word taka for the rupee, whether silver or gold. Ibn Batuta, the famous Moroccan traveler, noticed that, in Bengal, people described gold coins (Dinar) as gold tanka and silver coin as silver tanka. In other words, whatever the metallic content of the coin, the people called it taka. 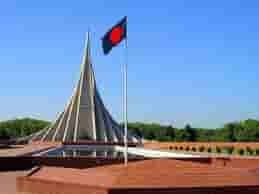 The taka became Bangladesh currency in 1972, replacing the Pakistani rupee. Currently, there are notes of the denominations taka 1, 2, 5, 10, 20, 50, 100 & 500. Just after the liberation notes of taka 1, 5, 10 & 100 were in circulation. The other notes were introduced later. 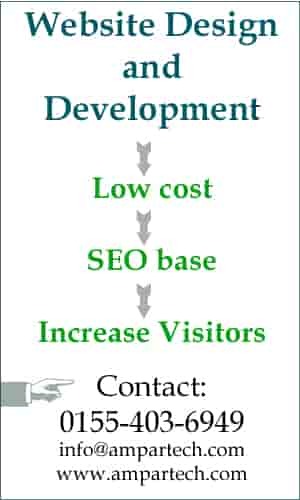 In the course of time there are many changes in the notes regarding design, size, and security features. Here are the pictures of the first circulated notes of each denomination, which many of us have never seen before. Reverse – A typical and picturesque rural landscape of riverine Bangladesh. Reverse – Scene of a typical Tea garden. Reverse – The Supreme Court Building, Dhaka. In the Taka. 20 note security features have been changed, but the design remains the same. Number of design or security pattern change is highest for the Tk. 10 notes. 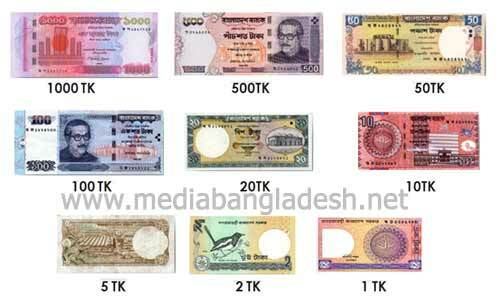 It has been changed 9 times, and is the only polymer note circulating in Bangladesh. No change has been made in the Taka. 2 note since the beginning. The Taka. 1 and Taka 2 notes are issued by the Government of Bangladesh. These are called Treasury notes, and signed by the Secretary of Finance. The rest of the notes are issued by Bangladesh’s central bank, the Bangladesh Bank. These are known as Bank notes and signed by Governor of Bangladesh Bank. At present, the Tk. 1 Taka 2 and Taka 5 notes are gradually being replaced with coins.